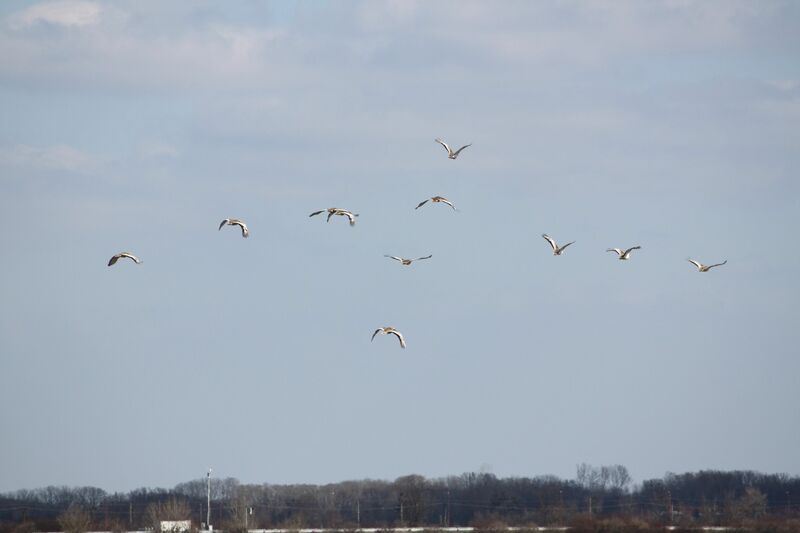 Bonn, 19 March 2017 – An important international workshop on the cross-border protection of the Great Bustard (Otis tarda) in Central Europe took place in Illmitz, Austria from 8 to 10 March 2017. 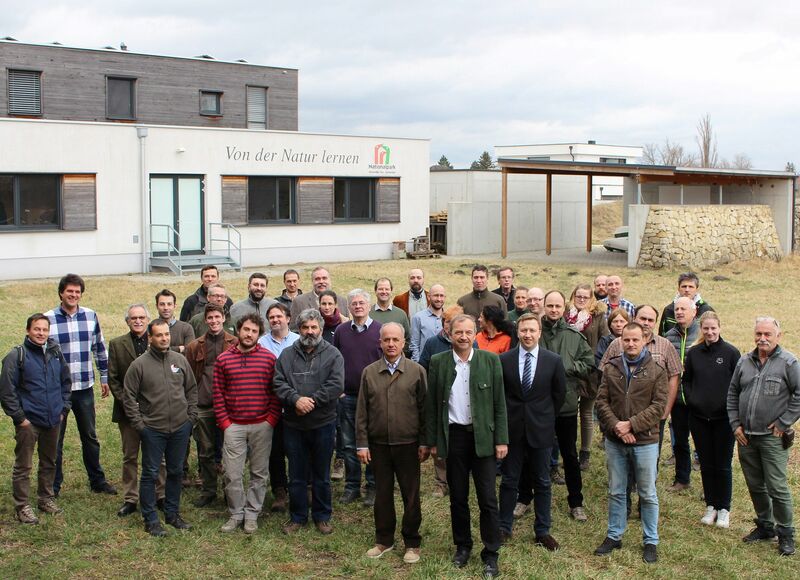 The meeting was organized within the framework of the EU LIFE Project on the Conservation of the Great Bustard in Austria and the Memorandum of Understanding (MOU) on the Conservation and Management of the Middle-European Population of the Great Bustard under the auspices of CMS. 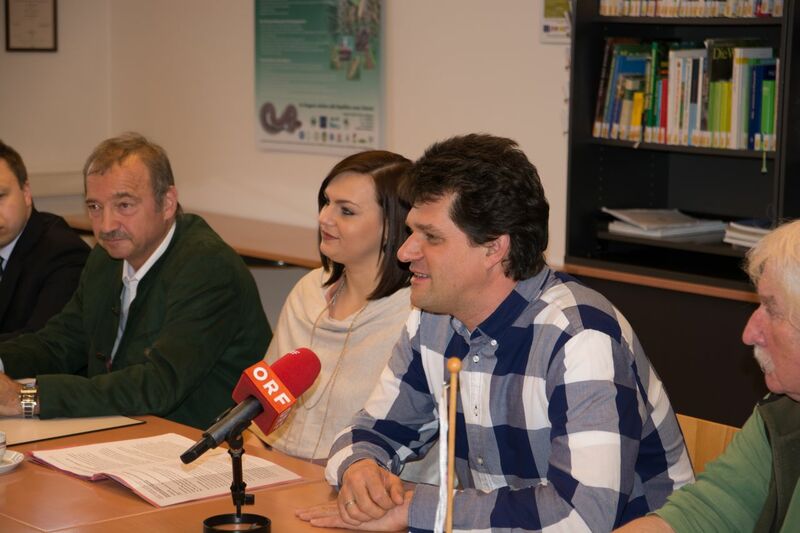 It received support from the Austrian Society for Great Bustard Protection (ÖGG), the National Park Neusiedl Lake and Hansag and the company Austrian Power Grid. 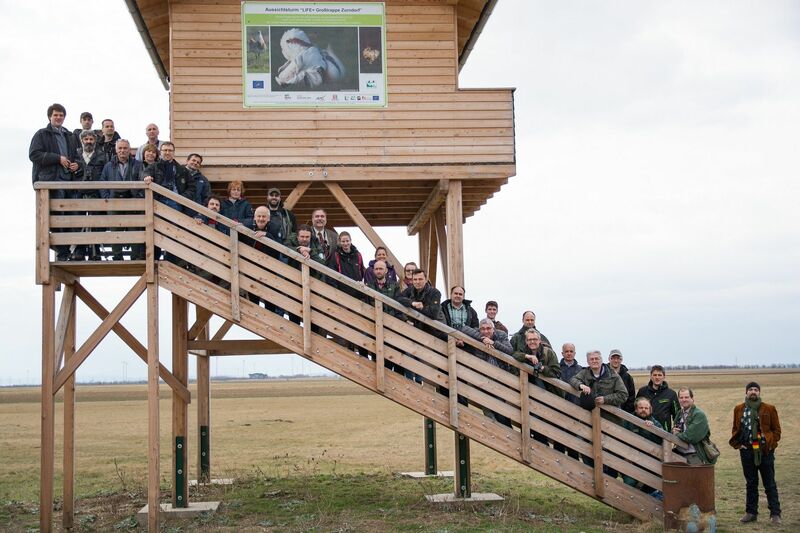 Forty-two experts from eight European countries attended the meeting and presented results of current and future strategies and projects on the conservation of the Great Bustard in Europe. The Great Bustard is the largest bird capable of flight. The estimated global population ranges between 44,000 and 57,000 individuals, of which 57-70 per cent occur in Spain and 15-25 per cent along the lower Volga River. The species is listed as Vulnerable on the IUCN Red List, showing a decreasing population trend. Thanks to dedicated conservation, management and re-introduction efforts, mostly supported by the EU LIFE Regulation, it has been possible to re-establish local populations in Central Europe. These have been recovering since the end of the 1990s, particularly in Hungary, Austria, Slovakia and Germany as well as in the UK. However, the long-term survival of these populations depends on strict protection and specific management measures, such as contracts with farmers to promote environmentally friendly agriculture and designation of fallow lands, and support from energy providers to remove above-ground power lines. The main threats for the Great Bustard in Central Europe arise from collision with power lines, wind turbines, transport infrastructure and from habitat loss and fragmentation. Low habitat quality results in insufficient food resources, which are mainly invertebrates. Furthermore, it has been shown that the genetic diversity of populations is positively correlated with habitat quality. Threats vary locally, with an influence of predation by foxes, badgers, wild boars, raccoon dogs and corvids in Hungary and Germany, and by White-tailed Eagles particularly on juveniles in Germany. 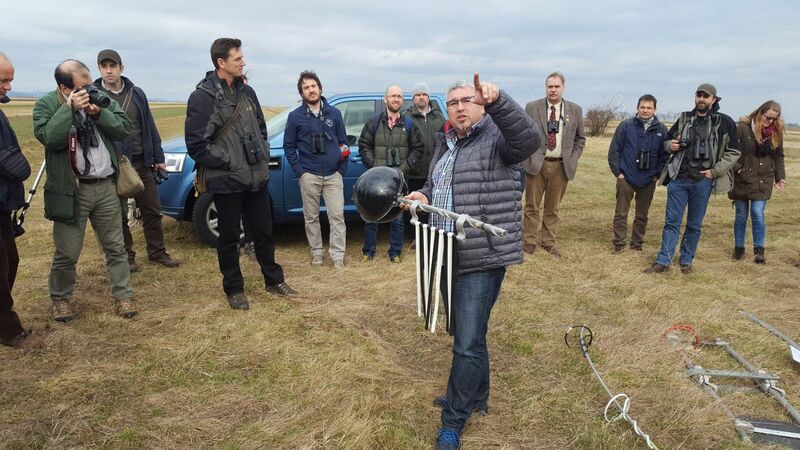 Current and future projects under the EU LIFE Regulation aim to collect data based on satellite telemetry to study migration and meta-population dynamics and behavioural traits such as activity patterns and flight altitude. 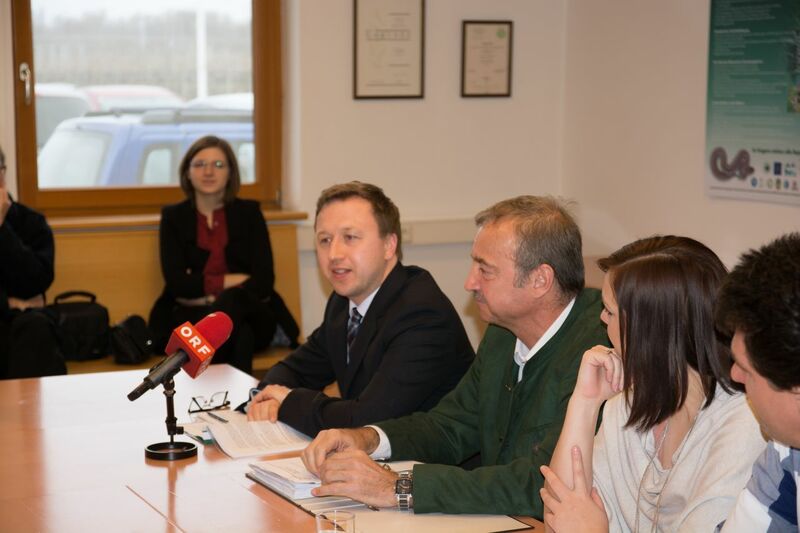 The meeting was followed by a press conference attended by the Counsellor of the State Government of Burgenland, Austria, Ms Astrid Eisenkopf, Mr Kurt Kirchberger (Director of the National Park Neusiedl Lake – Hansag), Mr Werner Falb-Meixner (President of ÖGG), Mr Rainer Raab (EU LIFE Project Coordinator Austria) and Mr Tilman Schneider (CMS Secretariat). 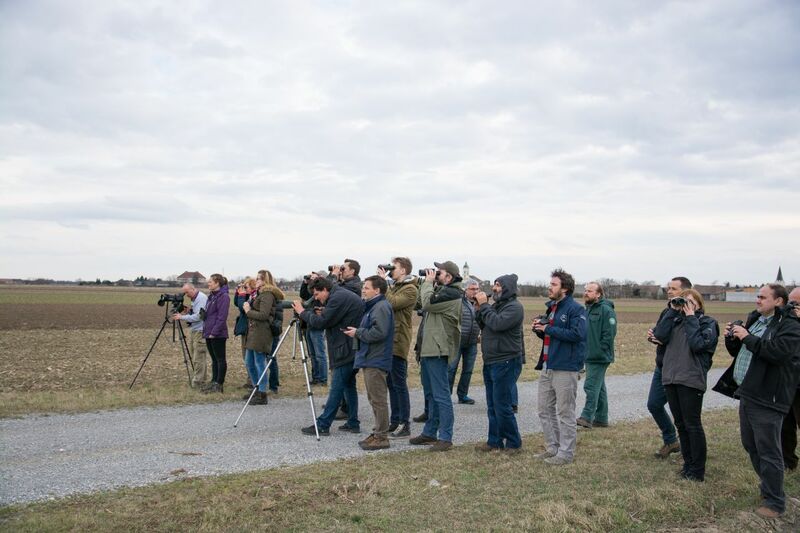 During a field trip, the participants had the opportunity to observe more than 200 Great Bustards at the beginning of their courtship display period, accompanied by the typical behaviour of males, as well as to observe other bird species such as the Imperial Eagle, White-tailed Eagle, Saker Falcon, Red Kite, European Golden Plover, Northern Lapwing and others in the project area Parndorfer Platte-Heideboden in the border region of Austria, Hungary and Slovakia. The final discussions of the meeting set important milestones for the organization of the next Meeting of Signatories (MOS4) of the Great Bustard MOU, which is scheduled to be held in Germany in March 2018. 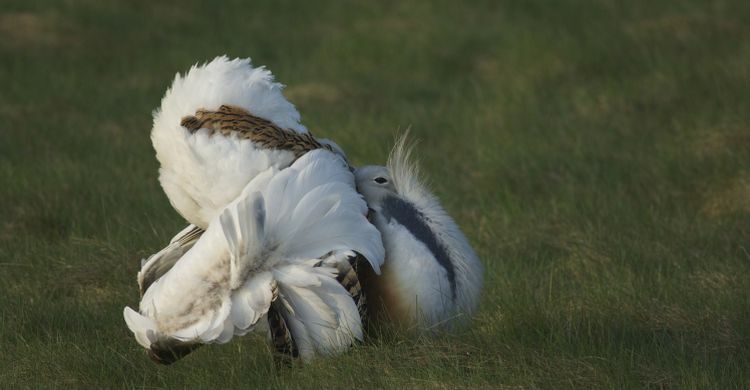 The MOS4 will provide an important new perspective for the signature of the MOU by further Range States in order to broaden and improve the cross-border conservation of the Great Bustard in Europe. For more information please contact Tilman Schneider.